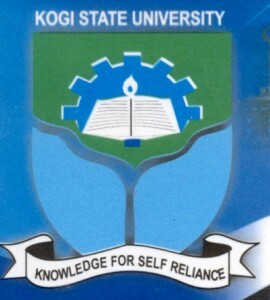 Kogi State University’s School of Postgraduate Studies Registration and Screening Guidelines and Procedures for Fresh/Newly Admitted Postgraduate Students for 2018/2019 Academic Session. This is to inform candidates who have been given admission for the 2018/2019 session into various programmes at the Post Graduate School of Kogi State University, Anyigba that they are advised to visit the school premises to continue screening exercise and get other relevant information as the session is set to fully start on Monday 13th August, 2018. Visit the Kogi State University’s School of Postgraduate Studies Portal, http://www.kogistateuniversity.edu.ng/postgraduate then Click on the “admission list”. Find your name on the list and copy your application number. Click the“PG Student Portal” link and login with your application number as user ID and password as your default password. You are advised to change this password at first log in. After successful log in, click on “Admission Letter” to begin the process of payment and printing of Admission Letter(s). Carefully complete the Bio-Data form with correct information and other details has required on the form and upload a scanned copy of recent passport photograph (file size: not more than 200KB) with white background . After completing the application form, Proceed to Online Payment by Clicking on “Pay Now” link to make payment of N5,000 (Five thousand naira only) directly on the portal with your bank debit/credit card . After successful completion of payment, kindly print out your admission letter. Proceed to PG School in person for screening. Once done with the internal screening, candidates are required to pay tuition fees via the portal http://portal.kogistateuniversity.edu.ng then click on “my payments”. Kindly follow the payment instruction been displayed to complete your payment. Finally, Print Course Registration Form, fill and submit to the PG School. The school assures you of her full support to ensure every one achieves maximum success during and after the programme.